The Ely Fire Department is looking for new members. Applicants must live in the Ely city limits or within 3 miles of the fire station and in Linn County, and be at least 18 years old. Anyone interested in joining is encouraged to submit an application and attend our monthly training’s and/or business meetings at 1300 Main Street, Ely. Attending these events gives you an opportunity to meet current members and for us to get to know you. Fire training is at 7:00 PM on the third Wednesday of every month, Emergency Medical Services training is at 7:00 PM on the fourth Wednesday of the month and our business meetings are at 7:30 PM on the last Monday of every month. Please feel free to contact any member of the fire department if you have questions. 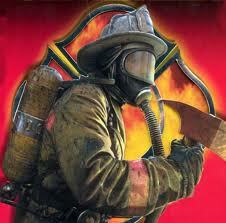 Fire fighter and or Emergency Medical Services certification training is provided to new members. We encourage anyone interested in joining the department, to attend training’s and business meetings. Applicants must attend four events to be considered for membership. Unbelievable satisfaction in knowing that you helped someone in need, saved a life or provided a service to your community. EFD_Application can be picked up at the monthly business meeting on the last Monday of the month at 7:30 PM. 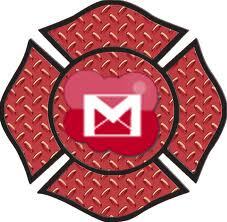 All firefighters must obtain a Firefighter 1 and/or EMT certification. Firefighter 1 certification requires 24 hours of continuing education each year. After initial Emergency Medical Technician (EMT) training and certification, EMTs need to obtain at least 24 hours of continuing education every two (2) years. Applicants can choose to be a firefighter, an EMT, or both. EMT – Iowa Department of Health – Bureau of EMS website at http://www.idph.state.ia.us/ems/certification.asp. Applications can be picked up at the monthly business meeting on the last Monday of the month at 7:30 PM.